The Sacramental System and Counseling | Theopolis Institute | Bible. Liturgy. Culture. Effective pastoral care helps people progress to maturity. Historically, the Christian church worked out the sacramental system to assist people with the various conversions of life. While we Protestants believe in only two sacraments, it is helpful for us to look at the sacramental system, because there is some wisdom in it. As a young person begins to approach maturity, his understanding undergoes a shift (called puberty nowadays). To harness this change, and minister the needed “stage conversion,” the church has used the rite of confirmation. Youth are told that they now must become “soldiers of Christ.” The military imagery helps them harness their new drives, and channels them toward productive things. Protestant churches that do not practice confirmation tend to have equivalent things, such as catechism classes, or teen-age youth groups. Everybody understands that this is a crisis-stage in life, and youth need help in converting through it. Marriage is another crisis. Generally, people are so happy to get married that they do not recognize that there are going to be problems, and that some conversions are going to be needed. The old sacrament of Matrimony was designed to ask for God’s special blessing on the couple getting married, and while protestants don’t call it a sacrament (rightly), they do the same kind of thing. Sickness is a crisis that generally causes people to reassess their lives -leading to what we are calling conversions (renewed faith in Christ). The sacrament of Unction was designed to provide a place for pastoral ministration in this time of need. While protestants again don’t call this a sacrament, protestants do often obey James 5:15 and anoint the sick. But how about the daily conversions, and the crises that come from time to time, and the hidden “stage” changes that we undergo? The old church set up the confessional to provide pastoral care for this: the sacrament of Penance. People would come to the pastor and talk over their problems in the confessional box. It is a little enough known fact, but the Protestant Reformers tried to retain the practice of confession in the church, because they saw it as a healthy way to minister to the people (see James 5:16). Protestants generally have not worked out a good way to deal with this, but the rise of the modern counseling movement in protestant circles is an attempt to help people with the crises and needed conversions of life. Along these same lines, one protestant substitute for the confessional, in America at least, has been the rededication service. 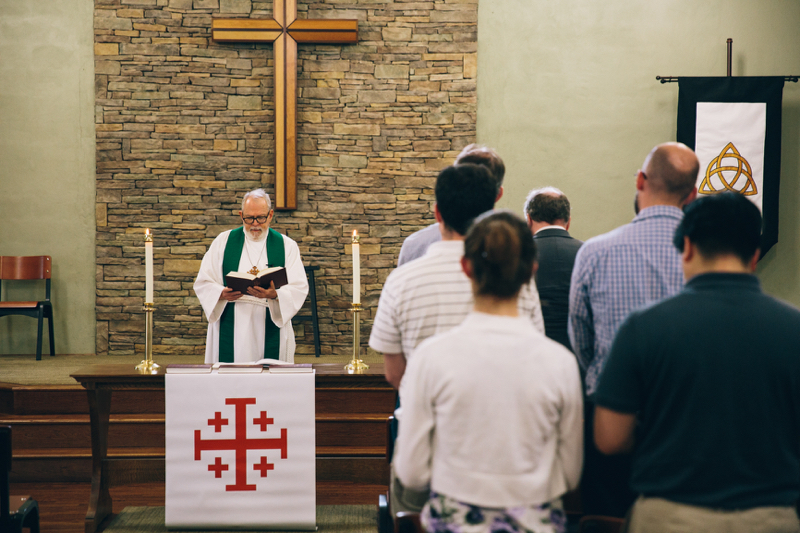 By having a week of special meetings annually, the Baptistic churches provide an opportunity for persons in crisis, or who have moved to a new stage of maturity, to externalize this crisis in a ritual of rededication to Christ. Unfortunately, the Baptist theology of conversion often comes into play here, and people tend to think that they were not “really” Christians until the day they “walked the aisle.” All the same, this is another way in which the church has provided opportunities for people to handle the crises and changes of life. Rather than ridicule these customs (Catholic and Baptist), we Reformed Christians ought to ask whether or not there is something to be learned from them. What regular means do we provide in our churches for people to approach, with ease, their pastors and ask for serious counseling? Both the confession box and the rededication service provide situations wherein people can feel free to discuss their problems and change their lives. Until we have worked out something along these lines, I don’t think we are really doing our jobs. Counseling cases pile up precisely because our churches do not have regular ways of handling problems before they come up. The sacramental system in the Roman Catholic Church is hardly perfect, but the way protestants have come to handle the crises and “conversions” of life has not proven adequate either. It should be on our agenda to give serious consideration to reforming our teaching and practice in this area.